Learn about the Multimedia feature for a MINI that has MINI Visual Boost, MINI Navigation, or MINI Navigation XL. Learn about all the features your key fob has to offer, including memory profiles, 6 Universal Presets with Visual Boost, MINI Navigation, or MINI Navigation XL, language, units, tone, and lighting. 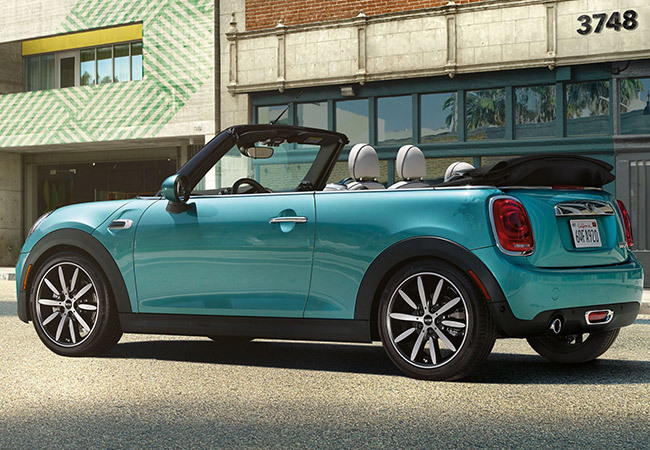 Let your MINI take control of the wheel as you apply the throttle and brakes for perfect parallel parking. Learn about the Navigation feature for a MINI that has MINI Navigation (6.5" Display), or MINI Navigation XL (8.8" Display). Learn about the Central Ring Indicator's color changing lights and adjustable event response for a MINI with Visual Boost, MINI Navigation, or MINI Navigation XL. Learn how to set the clock with MINI Visual Boost (6.5" Display), MINI Navigation (6.5" Display), or MINI Navigation XL (8.8" Display). Learn about your MINI's comfort access feature, which allows you to unlock the doors and boot as well as start the engine without ever taking the key out of your pocket. Learn how to operate cruise control on your MINI and how to adjust speeds with a hard or light press of the plus and minus buttons on the steering wheel. This video applies to model year 2014 & 2015 MINI Hardtop 2 Door and MINI Hardtop 4 Door as the layout has been updated for model year 2016. Learn to exit from your MINI.